What are the different types of axes? What’s The Best Cordless Screwdriver? What’s The Best Electric Log Splitter in 2016? What Log Cutting Tools Do You Need in 2019? Children look up to their dads and are under the impression that he can do anything. To live up to that expectation, every dad must have certain hand tools to repair, build and make things. Not only will you look good in your kid’s eyes, you can also save money on repairs and maintenance. You’d be really surprised how useful a roll of duct tape and some rope can be. However, if you want to repair a broken toy, put a bicycle together, stop a water leak, build a doll house or box car racer, you’ll need some more tools! While dads are human and can’t do everything, there’s no need for children to be aware of that fact! These 10 must-have hand tools will allow dad to keep the fantasy alive and going strong for many years to come. A claw hammer is the number one must-have hand tool for obvious reasons. This tool can hammer in a nail, then pull it back out when you need to. A good claw hammer will also enable dad to make a lot of banging noise without really doing anything. It will appear to his children that he is doing some serious work whether he is or not. Two different types of screw drivers are actually needed – a flat head and a Phillips. The flat head type is also called a straight head because the business head is flat or straight. The Phillips head is also called a star head because the business end is similar in shape to a star. One or the other of these tools will be needed to install and remove screws from most items around the house. Also called a crescent wrench, this is the one wrench that must be in a dad’s toolbox. Just as its name indicates, this wrench can be easily adjusted to fit whatever you’re working on. A one-inch adjustable wrench is properly sized to take care of most jobs around the house. However, it’s always nice to have a few different sizes in the toolbox. If you have enough room in your toolbox, also include a couple different sizes of open end wrenches. Also called box end wrenches, this tool can fit into tight places and won’t be as likely to strip a bolt or nut as an adjustable wrench may be. 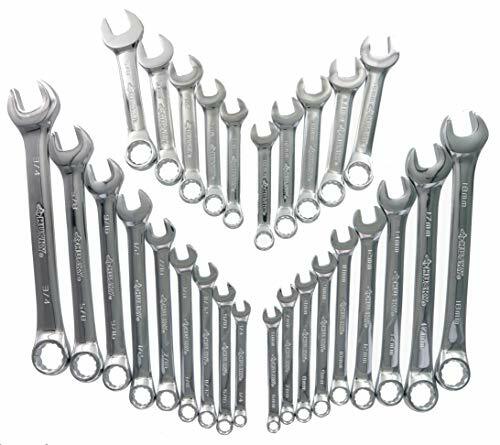 An inexpensive set of open end wrenches in various sizes is a good addition to a manly toolbox. If you plan to beat on things with an open end wrench (as many Mr. Fix-It types do) invest in a more expensive brand of box end wrenches so they can stand up to the abuse with cracking. There are so many sizes and types of pliers to choose from that it may be a little confusing to know which pair of pliers will work best for any given task. Two types are must-haves and are usually able to tackle any job – needle nose pliers and vise grip pliers. The needle nose type have long, semi-pointed ends that are able to fit into tight spots and get a precise grip on something. As an added bonus, a pair of needle nose pliers also has wire cutters built into their business end. Vise grip pliers, also called locking grip pliers, can be tightened to securely hold whatever they are clamped down on. Great tool for pipe or glue work, or when you need a third hand to complete a repair job. This wrench comes in handy when doing any type of automotive repair work. The straight handle wrench has many different sizes of sockets that can be used with it to get a job done. With a simple press of a button, the socket can be changed to meet the need. The socket wrench, also called a rachet, makes an interesting sound when being used and can be used like a hammer to create a lot of noise to impress your children. As a side note – invest in a spark plug wrench of you plan to do a lot of automotive repair work. A spark plug wrench looks like a socket wrench with a deep socket. Just be sure you get the right size socket to fit the spark plugs. An Allen wrench looks very different that other wrenches, it has no open end to place on a pipe, bolt or nut. This wrench resembles the letter L and comes in a wide range of sizes to accommodate screws with square openings on their heads. 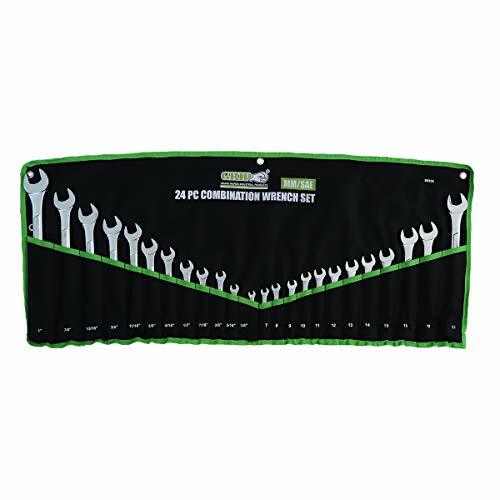 Purchase a set for your tool box in various sizes so you can tackle any repair job. While this tool only has one task, tightening or loosening pipes, it’s a must-have for any dad’s tool box. The size, color and weight of this tool screams ‘MACHO’ and no man’s tool box is complete without it even if you never use it. A pipe wrench is big, heavy and fire engine red, making it impressive just to look at. The weight that it adds to your tool box will also be impressive to your young child because with a heavy pipe wrench inside, a young child won’t even be able to pick up his or her dad’s tool box. But dad will still be able to lift the tool box and if he pulls out that fire engine red pipe wrench occasionally, well it’s guaranteed to make your child’s eye light up. The old adage for building is – measure twice and cut once. This is a a good rule of thumb to go by. Once something is cut it’s difficult or perhaps even impossible, to put back together. Invest in at least a 16 foot-long retractable tape measure so you can measure anything (including your child’s growth) and perform ma magic show for your kids by pressing a button top make the tape measure quickly retract into its neat little carry case. A cordless drill and several sizes of bits will enable you to hang sheet rock, build a deck and install new curtain rods. It’s a must-have tool for any home, garage and especially a dad’s toolbox. A 12 volt battery powered drill has enough power to get most any household job done, and a 12 volts size isn’t too heavy for most users. Weighing in at about 10 pounds, make sure your 12 volt cordless drill has various speeds and reverse. After you cover the basics, it’s good to have more options in your toolbox. Add a few of these other items and you’ll be able to fix almost anything and be safe while doing so. Set a good example for your kids and put safety first by wearing safety goggles and gloves while repairing or building something around the house. We’ve all been there, you need that elusive 19mm socket or ring spanner and can you find it? Of course not! Investing in the best wrench set possible and keeping it in good order is the best thing you can do for your sanity as a home mechanic. We took a look at the best wrenches on the market in 2019, and here are our top picks. Which Wrench Set Do You Need? Once you decide to invest in a wrench set, it’s important to consider what measurements you’ll likely be working on most of your time. For 99% of us, standard millimeter sockets are more than enough, will a sprinkling of imperial measurements for when you work on something a bit old school. However, if vintage cars are your hobby,or you’ll be working on older European cars such as Land Rovers, Citroen or anything pre-1960, you’ll likely need to purchase a decent imperial set. As proud owner of a 1968 Citroen 2CV, Ami and DS restoration in progress, trust me when I say that a good imperial wrench set is absolutely key if you’re working on old school mechanics! We’ve rounded up the 5 best wrench sets available in 2018. All offer unbeatable quality and serve up the most common sizes you’ll need. A very, very nice wrench set from a manufacturer that should ping on your radar as a manufacturer of quality tools. 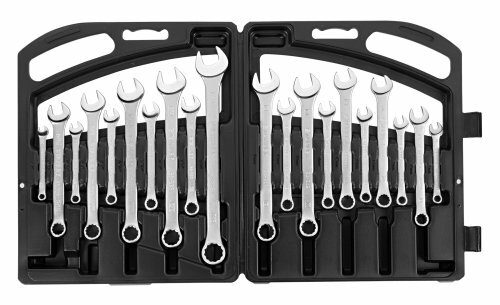 This Husky set offers most common wrench sizes for the home or garage plus all wrenches are chrome plates and organised in a box, helpful if you’re terrible for loosing tools. We found the quality of these tools easily up there with other domestic market tools such as Draper. Personally, I don’t think you can get better wrenches at this price point and it’s a thought many in the office agree with me on. The main issue we have, is that the box is of very poor quality and bits fall of quite readily. If you do purchase this kit, we suggest buying a better quality box to ensure non of your tools get left behind! The Tekton 1916 is a slightly cheaper set, and on first look, you can see where the savings have been made. This wrench set is organised in a wrap around tool bag, something you might remember from the tool packs that came with cars in the 70’s and 80’s. However, don’t let the bag put you off. The quality of the actual tools is second to none and perfectly up there with others in this price range. The Tekton range comes with Chrome Vanadium Steel, 15 open ended wrenches and 12 ring wrenches, the sizes should just about cover anything you’ll come up against during home use. We like the Tekton set, it’s a great choice if you occasionally take on DIY jobs or just need a set of tools in your home for emergencies and quick fixes. If you’ve ever heard of GearWrench, or own some of their products, you’ll know they’re a real quality manufacturer. I was quite pleased to be reviewing a GearWrench set as I ended up buying a GearWrench digital wrench after being impressed during an earlier review. As for this set, you’ll be spoilt for choice with most common SAE sizes and Metric running from 6 right up to 18. The only gaps in the range are right at the top of the metric sizes, something we would likely want a deep bore socket driver for anyway. The ring end of the each wrench, also features a high quality ratcheting mechanism. This is a real plus if you’re fed up of taking off and resetting your current ring set for each revolution! We’re big fans of ratcheting ring spanners here and recommend them highly if you’ve not tried them yet! As far as testing goes, we found the quality to be pretty good, although not quite as high as we’ve (and certainly me) come to expect from GearWrench. It’s still pretty good, equal to rivals from Draper and Husky in the same price range, but I have to say I was expecting a little more. However, GearWrench are a very good quality manufacturer and my reservations are based on an extremely high bar, something not many manufacturers come close to given the price. We recommend this set if you want a ratchet set that’s of decent quality and covers a far wider range of imperial measurements compared to the competition. This is a budget set that really does cover almost all sizes is the best way to sum up the GRIP 89358. It covers pretty much all SAE sizes from ¼ to 1 Inch whist on the metric side of things you’ll find everything from 7mm up to 22, including some nice odd numbered sizes, a boon if you’re a frequent worker on French or Italian cars. As with the GearWrench listed above, you’ll find a nicely made ratchet mechanism on the ring end. In our test we found it worked well and didn’t have any sloppiness sometimes associated with ratchets at the lower end of the market. These wrenches are made from Drop Forges Steel, quite a good feature in of itself and in our view better than Chrome Vanadium manufactured wrenches. 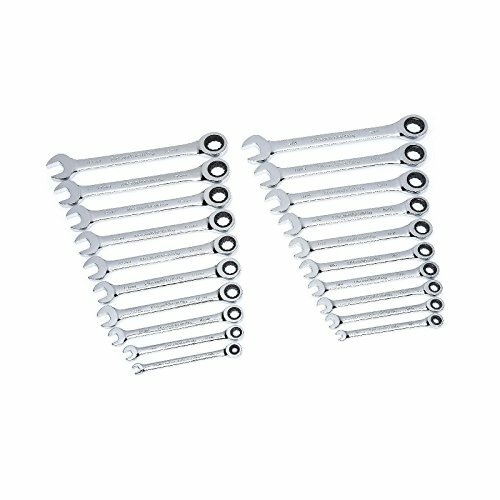 We actually rate these wrenches and as much as I hate to run against GearWrench on this one, the quality is certainly better here. The only negative we have, is the lack of a case to store the wrenches in. However, the quality is superb and at this price, we’d rather purchase a good box to store them in separately and enjoy the quality instead! Stanley can sometimes be a variable make as regards quality. Their tools can be superb and become real go to tools in your arsenal, or they break within a few weeks and put you off Stanley for life! Thankfully, this wrench set is of the former! These wrenches feature the Stanley patented Max-Drive system, quite a boon at this price range and really does help when using the ratchet ring end to loosen tight bolts. The system is designed to avoid the pain caused by rounding and allows far greater torque to be applied without shattering the ratchet system. This set covers most of the sizes you’ll need for home and modern car, with a range of both Imperial and Metric units included. The only issue here is that you might need to bolster this set if you’re working on particularly classic cars or on any project with old fashioned sizes. As far as quality goes, this Stanley set is easily up there with the GRIP set above and as it comes with a neat little carry case, it could be a better buy depending on just how wide a variety of sizes you need. If you’re looking for a general purpose set and don’t require unusual imperial SAE sizes then you should be fine with the Stanley set, and bag yourself a neat box too. If you’re looking for the best wrench set possible, the GRIP is probably more up your street but you’ll likely want to invest in a box to keep everything in. There are many different types of axes, making it hard to know the exact one you need. Whether you heat your home totally with wood or just need a few split logs for a fireplace, firepit or campfire, you’re going to need the proper axe. Read through these descriptions to help you select the right kind of axe for the cutting jobs you need to do. If you can only have one axe, this is it! The long, 30+ inch handle, thin sharp blade and mid-weight head make this axe perfect for chopping down trees and cutting off tree limbs. This axe, also called a single bit, is also good for splitting firewood and can be used for any other type of wood cutting job you have. [easyazon_image align=”left” height=”250″ identifier=”B00QMK04K8″ locale=”US” src=”https://toolsdaddy.com/wp-content/uploads/2015/11/318Rf6NlBaL.SL160.jpg” tag=”toolsdaddy-20″ width=”180″]This axe is so named because it was used by French fur traders in the Hudson Bay area in the 17th century. It’s still in the top five must-have kinds of axes because it has stood the test of time with it’s practical uses. The Hudson Bay axe is the best kind of axe for chopping firewood. This axe is shorter and lighter than a felling axe and will help you turn a felled tree into a pile of ready-to-burn firewood and kindling in record time. [easyazon_image align=”left” height=”147″ identifier=”B000HAEI1A” locale=”US” src=”https://toolsdaddy.com/wp-content/uploads/2015/11/41KfBoGQVeL.SL160.jpg” tag=”toolsdaddy-20″ width=”160″]A splitting axe is a large, heavy axe designed to split hardwood and also called a splitting maul. This axe has a head with a sharp side and a dull, broad side. The dull, broad side is the maul. This is used as a hammer to drive a steel wedge into hardwood. It’s used when wood is too tough to split with the sharp axe side. A camping axe is smaller, lightweight and easy to carry with you while on a camping trip. [easyazon_image align=”left” height=”275″ identifier=”B00AFWYGOE” locale=”US” src=”https://toolsdaddy.com/wp-content/uploads/2015/11/41KbK82BS3WL.SL110.jpg” tag=”toolsdaddy-20″ width=”175″]This type of axe typically has a sheath to cover the sharp head and a loop on the handle so it can be attached to a backpack or belt. Don’t let the small size of a camping axe fool you, it still has the power to fell small trees and chop all the wood for a camp fire. With one sharp side on the axe head, the other side acts as a hammer to help drive in tent stakes and other hammering needs you may encounter around the campsite. A double bit axe is sharp on both sides. This allows it to cut going and coming. Not the kind of axe for beginners, but one that will enable a pro to cut twice as much wood between blade sharpenings. [easyazon_image align=”left” height=”110″ identifier=”B00FK262C8″ locale=”US” src=”https://toolsdaddy.com/wp-content/uploads/2015/11/314ifQnU3L.SL110.jpg” tag=”toolsdaddy-20″ width=”110″]A broad axe is a large, heavy axe that is used for hewing logs. A high-quality broad axe will have bevelled edges on each side to enable you to make precision cuts into large logs when building a cabin or furniture. [easyazon_image align=”left” height=”200″ identifier=”B004SN1HGQ” locale=”US” src=”https://toolsdaddy.com/wp-content/uploads/2015/11/21VK5vczC2BL.jpg” tag=”toolsdaddy-20″ width=”200″]A carpenter’s axe is the right axe for making precision cuts when doing fine woodworking. About the size of a camping axe, this axe can be used to fell small trees and split small logs, but its real use lies in the finger notch located on the neck of the handle. By placing your hand at the neck base of a carpenter’s axe, you’ll be able to make precision cuts and incisions into wood like those made with a power handsaw. A shingling Axe is used to install wood shingles (chop them if desired too). This kind of axe is small, easy to handle and typically has a nail slot, draw knife and measuring tool built-in. [easyazon_image align=”left” height=”149″ identifier=”B00NJ2UQXC” locale=”US” src=”https://toolsdaddy.com/wp-content/uploads/2015/11/416W0RBiS3L.SL160.jpg” tag=”toolsdaddy-20″ width=”160″]Also called a Boy’s axe, a forest axe is a cross between a felling axe and a camping axe. It’s lightweight with a 2 pound head and an 18 -26 inch handle. A forest axe can tackle most any cutting job without using up all the user’s strength. All axe handles traditionally used to be made from one piece of hickory wood, many still are today because of the strength of hickory wood. There are other choices for handle material today, including plastic and metal. Some handles are covered with cushioned, non-slip grips. There is no one right or wrong handle style of material, just the one that feels best in your hand. As a rule of thumb to use when selecting hand length, regardless of handle material, is if the handle is longer than your arm, it’s best used for splitting wood. If the axe handle is shorter than your arm, it’s best used for cutting wood. What’s The Best Cordless Screwdriver in 2019? What’s The Best Electric Log Splitter in 2019?